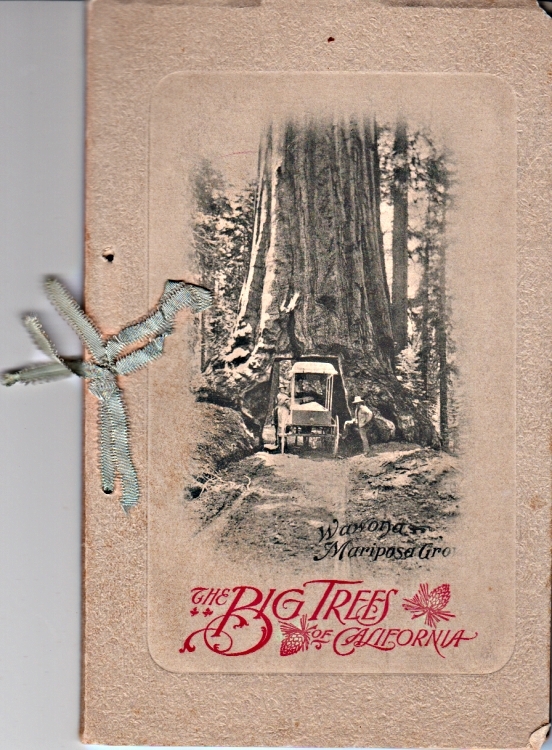 "Photo Booklet: The Big Trees of California - 1894 "
(1966) Photo Booklet: The Big Trees of California - 1894-Condition: Very Good This beautiful booklet consists of 12 large photos of different Redwoods in California. Amazing photos considering they were taken before or in 1894. The pages are in a cover, tied together by a riboon. Part of the ribbon has broken and some of the pages are no longer tied. The Booklet measures 8" by 5". 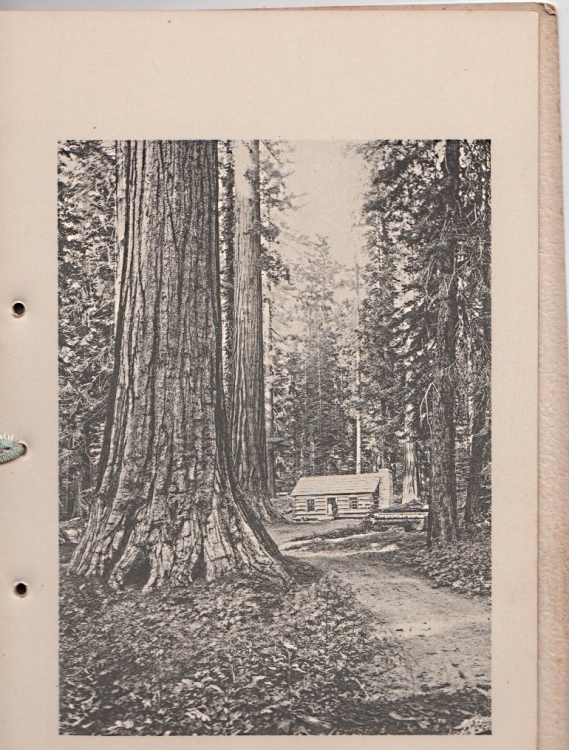 This booklet is described as "Photo Gravure" and was copyrighted by A. Whitteman. Another name associated with the booklet is Jos. A. Hoffmann. Both parties also developed other pictorial souvenir albuns in 1894 called "Souvenir of San Jose, California and a "Photo Gravure of the Mid Winter Internation Exposition in San Francisco. Photogravure uses a flat copper plate etched rather deeply and printed by hand.